What Do We Do, Now that the Cows Have all Come Home? Any of you who read my pages on even a semi-regular basis, will know that because I live very rurally, countryside subjects constitute a huge portion of my photographic endeavours. I guess, though I dream of embarking on other projects or making images of a number of other genres, this is what I live with daily and, (I hope) make the most from. Trees always form an anchor in almost all landscape photographs and, still, I wonder, just when will we have exhausted every angle, each different way of seeing them, photographing them? Never? Oh, let’s hope that can be the case! 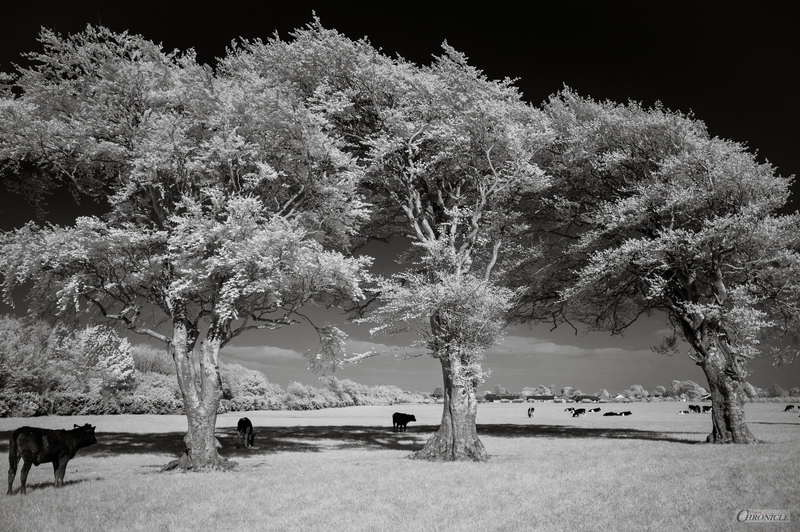 I | 35mm – 720nm IR. 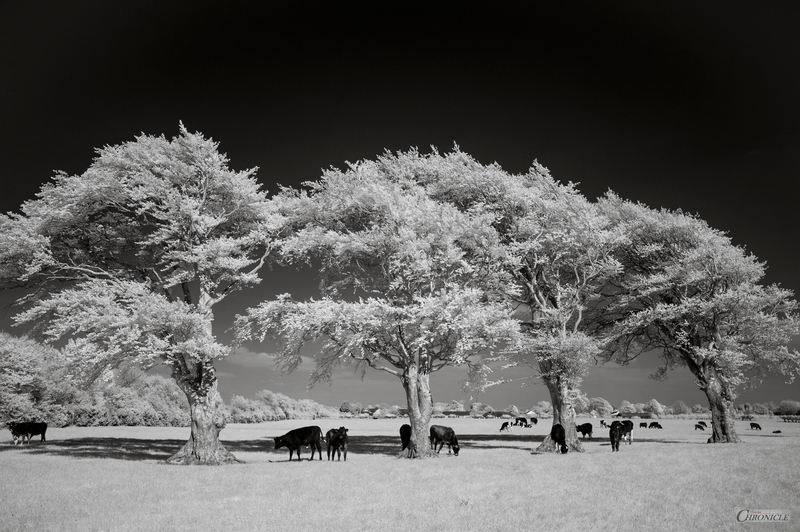 These particular four trees are very exposed and have a distinct lean towards the east; battered constantly by harsh, often unrelenting westerly winds that howl across the Solway Firth and, when they loose their foliage in late autumn, their branches resemble (to me, at least) the drying bones of living skeletons, desperately reaching out for water. Still, from spring until autumn, they are unique and, utterly resplendent. So, back to the question – now that they’re all home, what exactly do we do now? 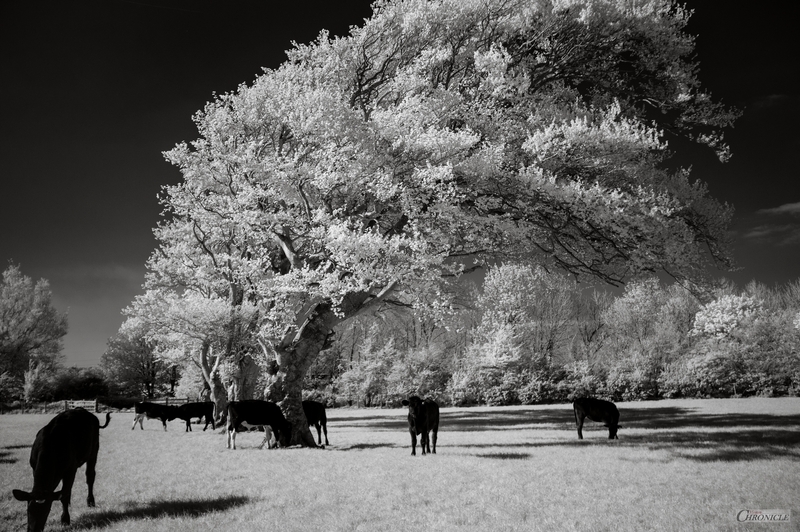 II | 35mm – 720nm IR. III | 35mm – 720nm IR. 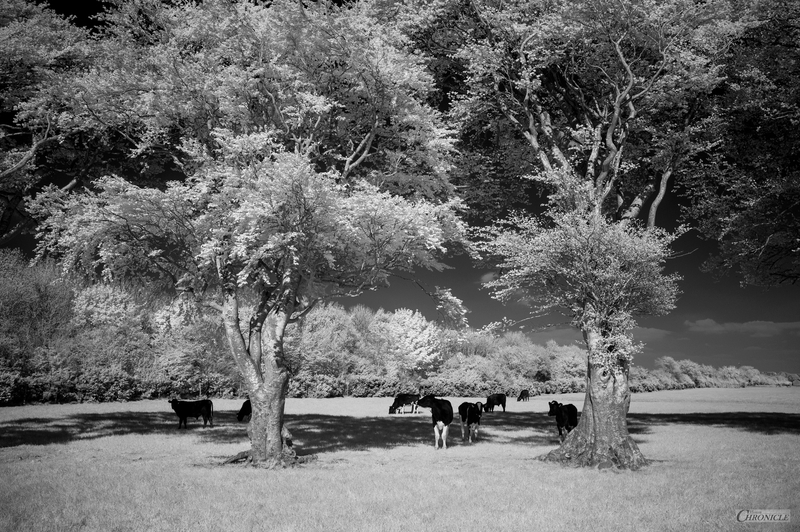 IV | 35mm – 720nm IR. Wow! Great capture. I love the bend in the trees – makes them seem like they are in constant motion. Thank you! 🙏 Yes, they grow in that direction, from the high winds. I plan to shoot them again in the winter once the branches are bare.. just to try to emphasise their unusual form. Really glad you like them! You are very kind. Thank you!! A studio really can save you when the weather is awful. I’m happy to hear that you decided to make it! Such worn down by life trees… It seems to me that any genre in photography will always be interesting if a photographer puts in it a part of him(her)self. Because then it becomes not just a reflection of reality, but something more. Which project would you like to start /make? Well, sometimes we all have bad days. But these days pass. I didn’t know this proverb, by the way. Though it’s not something unusual, I know not much English proverbs 😀 In Russian there is something similar. Когда рак на горе не свистнет. Literally: When a crawfish whistles on the mountain. Good luck to your with your ideas!